One of the problems that startups have is getting funds. 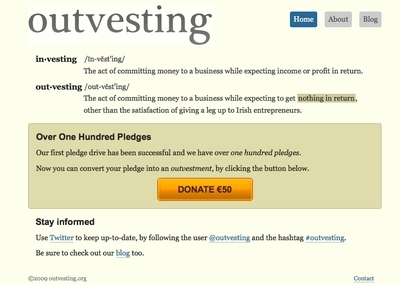 The idea is pretty simple – pledging €50 each towards startups. €50 isn’t much, but when you multiply it by 40, 50 or 100 it becomes a “nice chunk of cash”.